Jose Mourinho has been on the lookout for a midfielder for quite a while now, with Manchester United desperate to win the Premier League next season and also make a lasting run in the UEFA Champions League. However, despite their attempts to sign world-class talent in the form of capable youngsters, a more mature midfield maestro can potentially hold the answer to their dilemma. 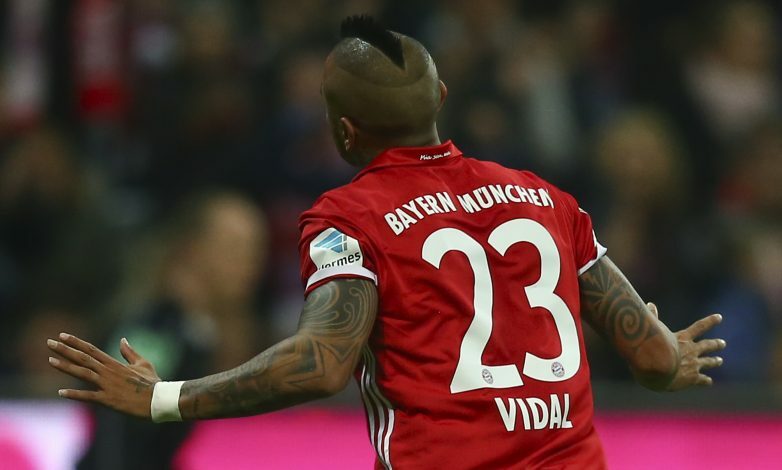 Arturo Vidal is tipped to leave Bayern Munich at the end of this season. Despite having a year left on his contract, the Chilean is believed to not be too keen on playing second fiddle to the incoming Leon Goretzka at the Bavarian outfit. At 31 years of age, it certainly seems that he wishes to try his wares elsewhere, and has been strongly linked with a Premier League move in the past. WATCH: Can Martial Make Arsenal Great Again? However, in those instances, it was always Chelsea that was tipped to be his destination. This was strengthened by the fact that the club is managed by Antonio Conte, and naturally, Vidal would wish to reunite with the gaffer whom he played under at Juventus. But Chilean journalist Maks Cárdenas doesn’t believe this is the case anymore, and reckons the player’s destination to lie elsewhere in England. This may largely be due to the fact that Conte’s own future at Stamford Bridge remains uncertain. Munich are reported to be willing to let go of the talent for a sizable fee of €50 million, and the journalist firmly believes that Manchester United is the subject of interest now. While the Mancunian club would certainly benefit from the arrival of the world-class talent, it seems unlikely that Mourinho will wish to splurge this big an amount on a player of Vidal’s age. The claim also adds that a move to Italy may also be on the cards. Will United pay heed to this offer?